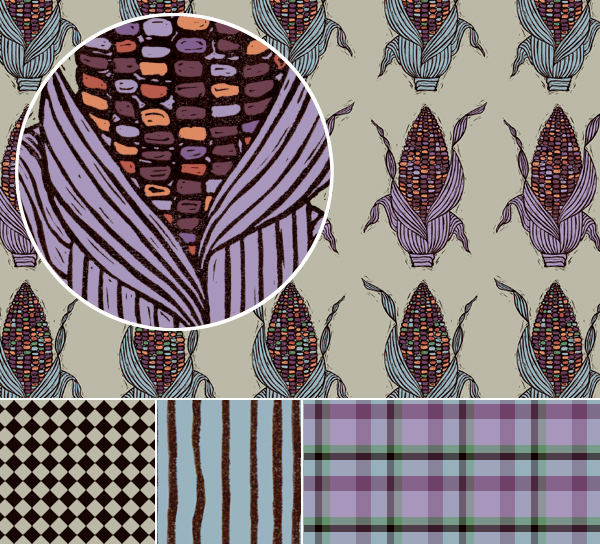 With Thanksgiving coming up I've had ears of corn and corn relish on the brain. 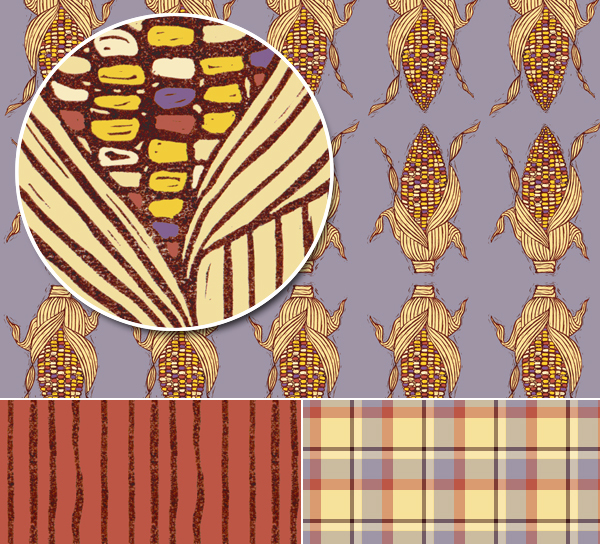 Last week whenever my pencil was near, I drew corn on the cob... interesting symbol these days with food being so political and corn being at the center of many of those debates. 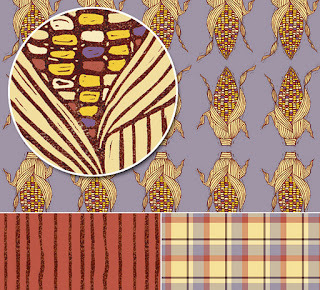 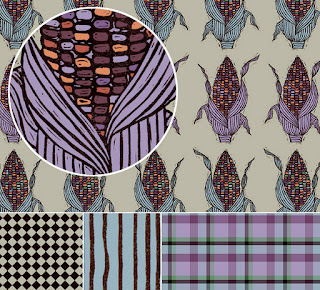 But, here corn is just corn — carved, printed, and set to repeat; two different repeats, colorways, and story options.